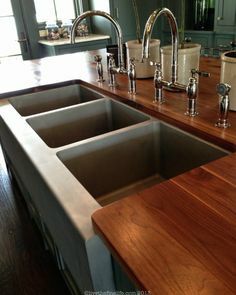 Triple sinks can reduce your work time in the kitchen by helping with several tasks at once. These highly functional sinks are available in the full range of styles and materials, so you’ll find a quality sink in the style you prefer to work with your kitchen design. 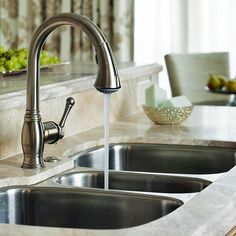 These comprehensive guides give you information you need to compare sink types and decide which sink is the best choice for your kitchen. 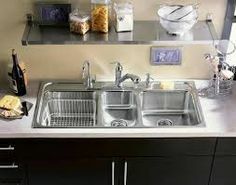 The Triple Kitchen Sink Buying Guide is a good place to start with its pros and cons of triple sinks, prices, the leading triple sink brands and much more. 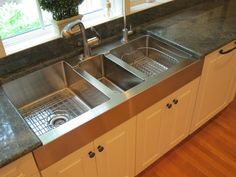 The Triple Kitchen Sink Installation Guide gives an overview of what it takes to do the job yourself. Tips for hiring a pro installer are included too. 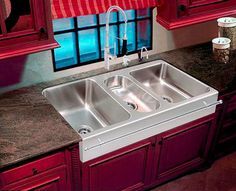 The Triple Kitchen Sink Price Guide provides comprehensive costs including prices for drop-in and undermount types and for materials ranging from stainless steel to fireclay, porcelain and composite granite. Costs for installation and repair are covered too. If you’re looking for additional information and colorful inspiration for your kitchen project, all of our popular Pinterest pages will help. 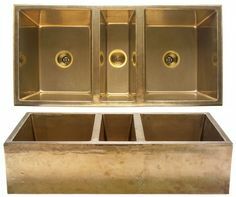 View our Triple Sink Pinterest page for design ideas for your three-bowl sink. 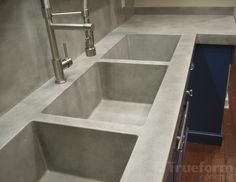 If you’re just replacing the sink or remodeling the entire kitchen, a qualified installer is important to find. The service we offer to you free of charge makes it quick and convenient to find the right company for the work. When you fill out one easy form, you’ll receive written estimates from three companies in your area that know they have to provide competitive bids to be considered for the work. There is no obligation to you for using the service.